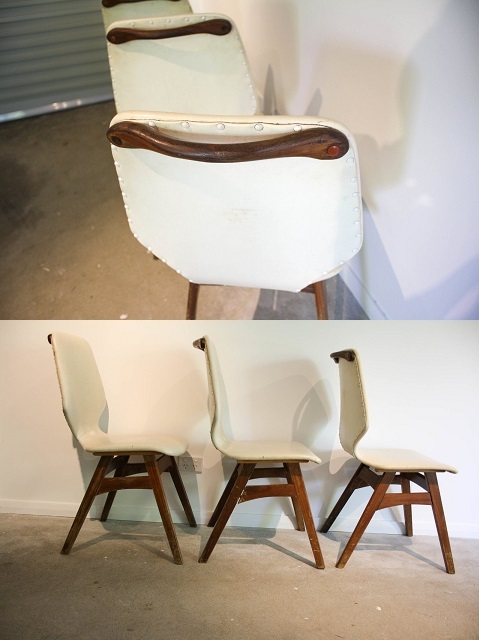 Fair range of goodies on eBay this week, however I picked these 3 Mid Century dining chairs to share. 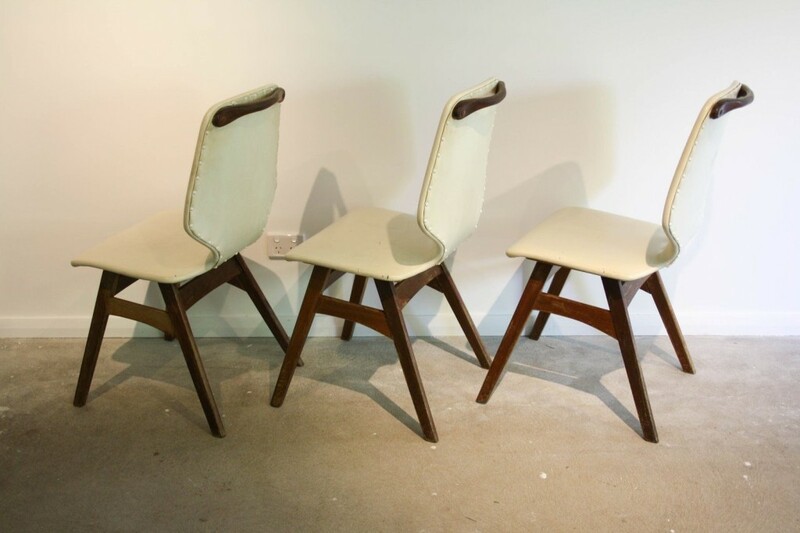 Described as a ‘Set of three Mid Century Dining Chairs to restore with a cool solid timber back handle’ I really love their shape. The lines of those angled A-frame timber legs and the white vinyl 1 piece seat/back support are just so clean. They actually remind me a little of the ‘volkschair’ I posted about on the blog previously – see here. It’s a little hard to tell if the handle on the rear top of the back support is original, I’m leaning towards no, as the timbers appear to be different, along with the clash of styles although it does contrast nicely against the white vinyl upholstery and tie in with the dark stained timber base. Price? Buy it now for $67! Cheap as chips for such a great looking set of chairs. Yes they do need a little bit of work, and it’s a shame they’re missing the extra one to make a set of 4 however I think they’d be a great buy!